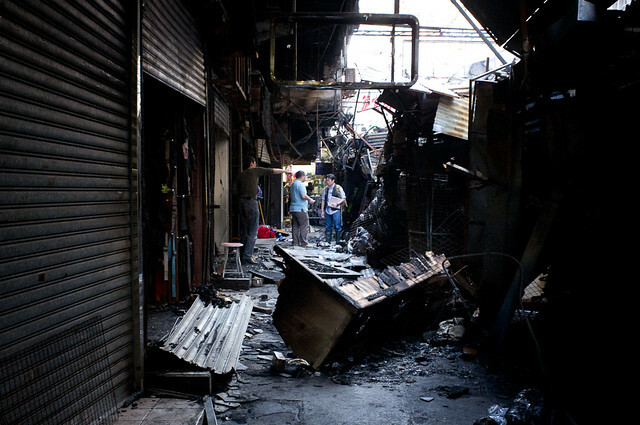 Fa Yuen street fire in Mongkok originated at a faulty electrical switch. The fire that killed nine was accidental but the murder of one was premeditated. At least that’s the outcome of an inquest into the Mongkok fire last year – and the preliminary police findings of Sunday’s murder-suicide. Yesterday, Xi Jinping and Li Keqiang met with Hong Kong and Macau Chief Executives Leung Chun-ying and Fernando Chui for the first time as President and Premier. Xi expressed that he was happy that Leung’s stated wish to “maintain stability while seeking change” had earned the support of Hong Kong’s people. However, he stressed that the key to success was in the implementation of policy. He also called on Hong Kong society to unite around Leung, using a Chinese proverb that to express that when many people work together, great works can be accomplished. In the afternoon, Premier Li Keqiang held a separate meeting with the two SAR Chief Executives to express the mainland’s support for Hong Kong and Macau. Police suspect the apparent murder-suicide case which resulted in the stabbing death of tycoon Peng Chi-hui and the death of his partner, Wong Suk-kan, from a 77-floor plunge was the premeditated outcome of a relationship problem. According to Teddy Hung Hon-yee, a shareholder of the electric current therapy center that Wong operated, Wong had previously learned that Peng was having an affair. This caused her great distress, causing her to lose 30 pounds in a short time. Hong said that Wong showed up at the center on Friday to pay staff for the upcoming month and to settle the rent. Therefore, it is possible that she knew that she would kill Peng. Last year, a fire in a building on Mong Kok’s Fa Yuen Street resulted in the deaths of nine people. Following a 15-day inquest, the jury ruled that the deaths were the accidental result of an electrical malfunction at a stall below the building. The jury also made suggestions designed to reduce the risk of fires to the Buildings Department, the Fire Services Department and three other government divisions. The ruling displeased some of the relatives of the deceased, who complained that it did not leave any room to determine who was responsible. ← Xi Jinping Tells Hong Kong: Stand By Your Man!